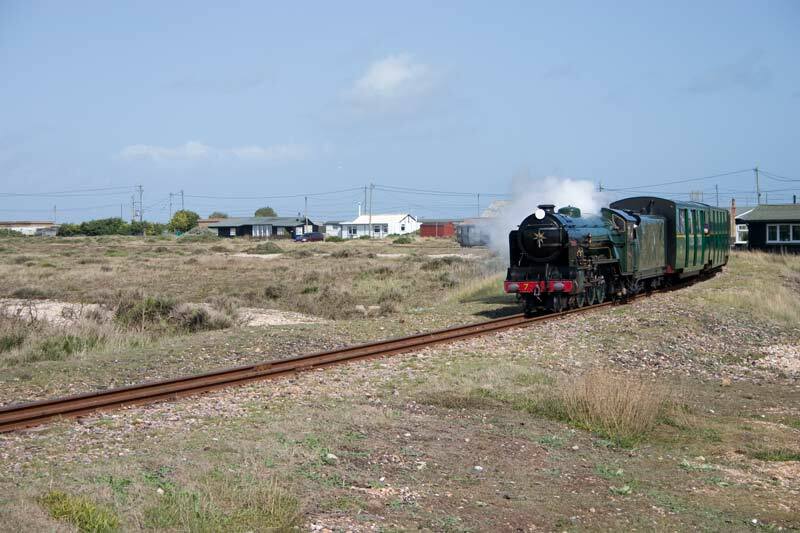 The Romney, Hythe and Dymchurch Railway is a 15" gauge line which runs from Hythe to Dungeness in Kent. 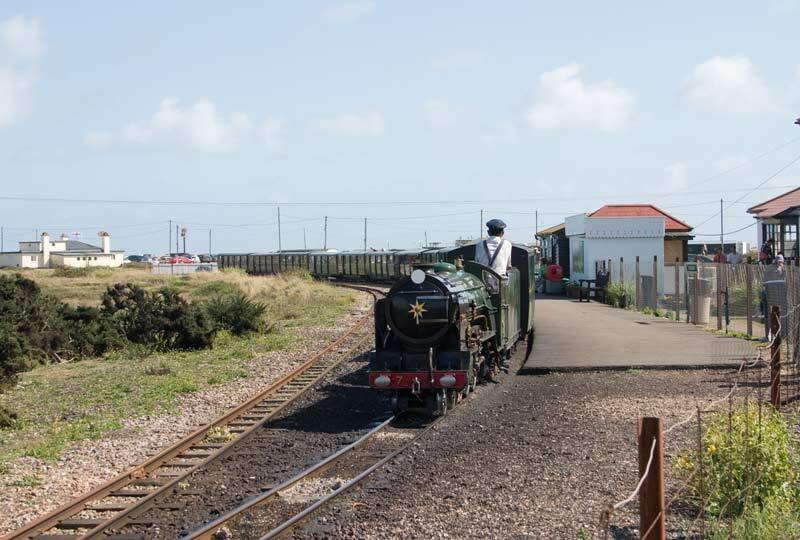 It is very much a mainline in miniature, these photos were taken during a brief and very windy visit to Dungeness. 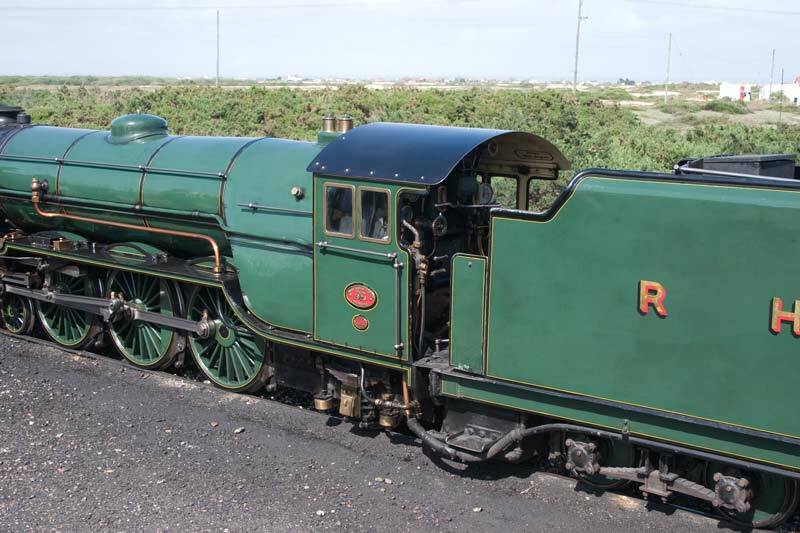 RHDR pacific no. 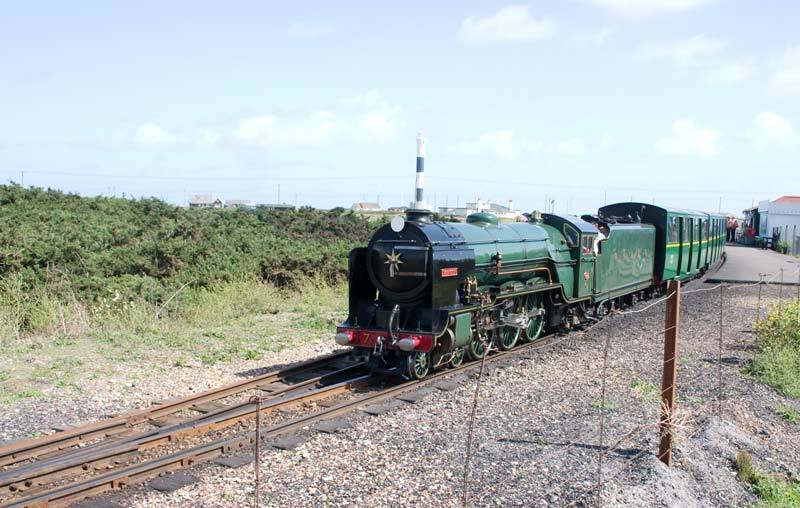 7 Typhoon approaching Dungeness across the flat and open terrain of the Romney Marsh. 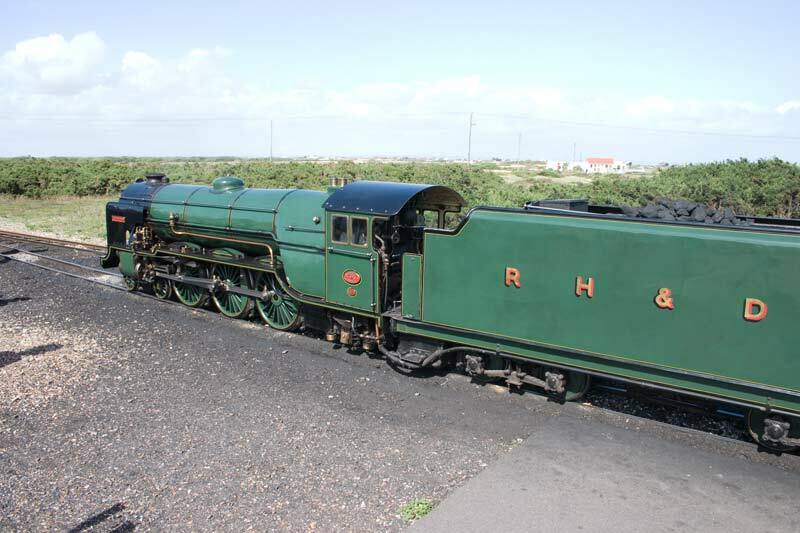 Two closer views of Typhoon, most of the RHDR locos are similar being based on LNER A3 pacifics at one third scale. The track is one quarter scale. The driver standing beside no. 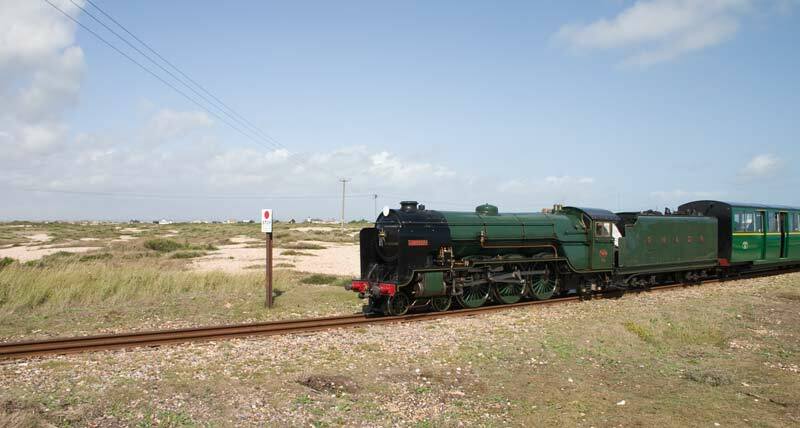 7 gives an idea of the size and scale of the loco. 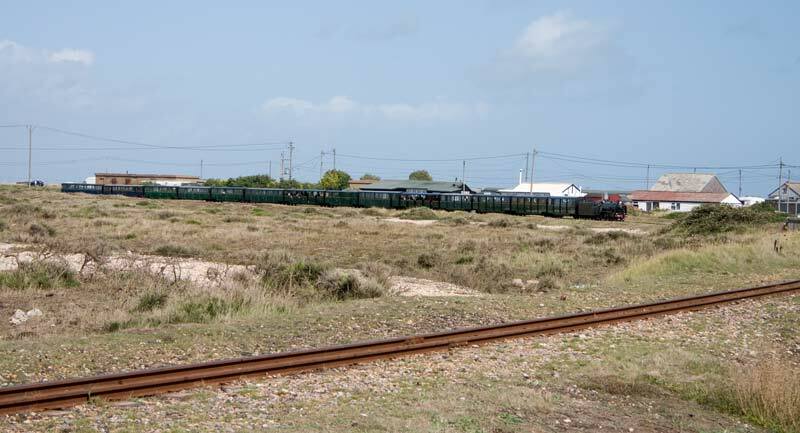 The driver looking back over the train for the guard to give right away, being able to look over makes starting from a curved platform a bit easier! 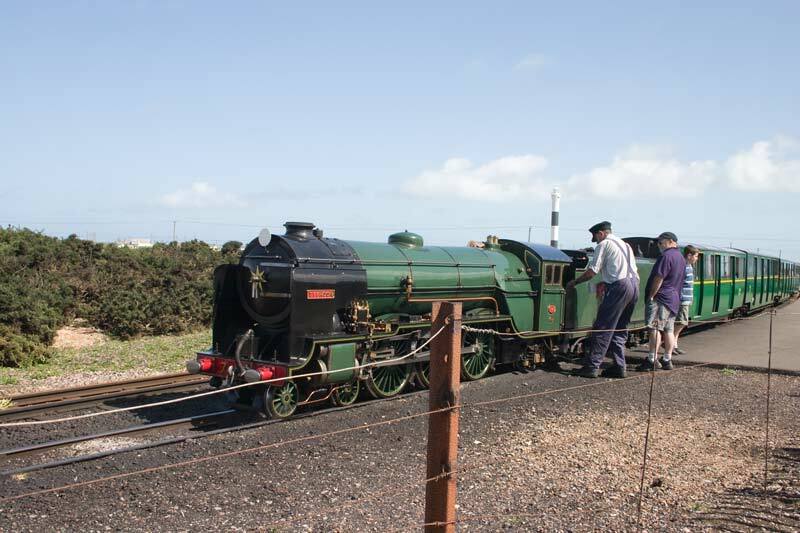 Once underway the driver can actually fit into the cab, quite surprising on such a narrow gauge loco.